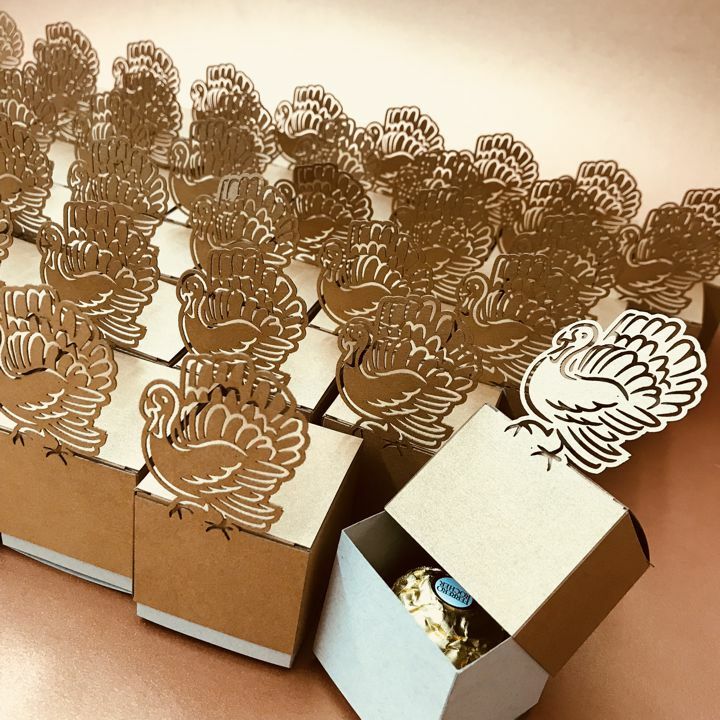 Laser Cut Thanksgiving Turkey Favor Box will delight your guests with a sweet treat. The Two Piece Favor Boxes 2 1/4 Inch square can be customized in your favorite color for the top and the bottom. Use for candies or favors at Weddings, Bridal and Baby Showers even Birthdays Parties. Box size: 2 1/4 sq.